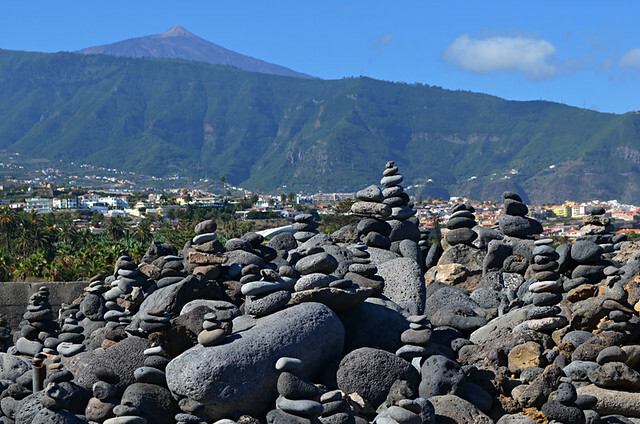 I see a forest of rock towers on the beach, like the ones at Playa Jardín in Puerto de la Cruz and at La Caleta in Costa Adeje, and I marvel at the human-assisted, natural art forms. 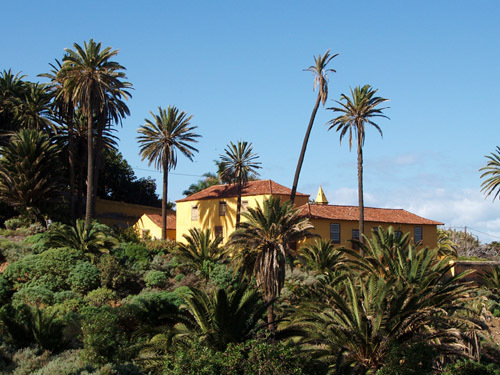 In fact I once got into an argument with a man who was throwing stones at the ones in Puerto de la Cruz trying to knock as many of them down as he could. He was behaving like a destructive little boy. 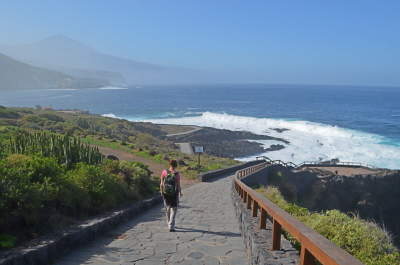 However, I see a forest of rock towers along walking trails on Tenerife and I have a right old moan about how people who don’t understand the etiquette of walking can cause havoc with established routes. 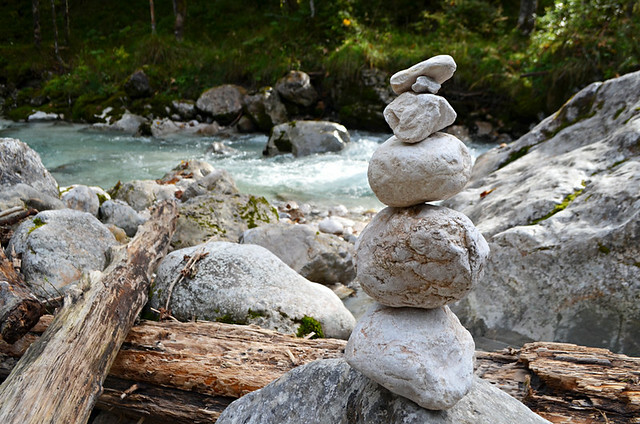 There has been an increase across the world of people getting all arty with nature and building rock towers. When it was only a handful of people doing it, nobody bothered as impact was minimal. Now it seems as though everybody’s at it. So what? It doesn’t harm anybody and it’s aesthetically pleasing. It is aesthetically pleasing, at least we think so, but it is also potentially harmful for a number of reasons. As most walkers will already know, traditionally piles of stones (cairns) were used as either landmarks or even as burial mounds. For centuries they helpfully marked paths. We’ve been assisted by mini stone towers all over Europe. There’s a satisfying art to finding your way across areas where paths are indistinct by hunkering down and scanning the landscape for the next mound of stones. The outbreak of rock tower building has meant in some places cairns aren’t to be trusted. Instead of showing the way they lead walkers along the road to nowhere, their existence meaningless apart from making some misguided soul feel as though they’ve connected with nature. Those are clearly potentially dangerous. 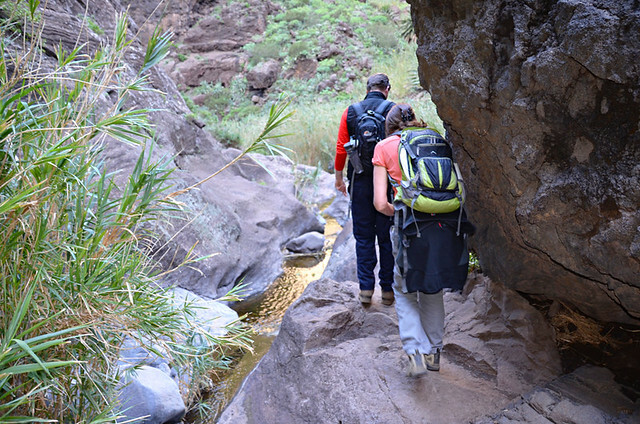 Masca Barranco, one of the places on Tenerife to suffer from cairn builders. 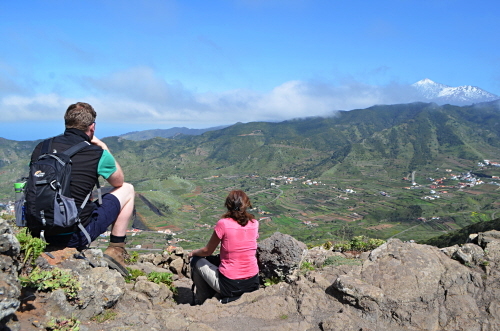 We’ve experienced a couple of places on Tenerife where folk have clearly thought arbitrary cairn building was a fun thing to do. It’s not always about just being arty, sometimes it’s people thinking they’re being helpful. And when it’s an established route where cairns need ‘propping up’ it is helpful. But, again increasingly, we’ve noticed people occasionally creating their own ‘I know better’ routes with cairns, usually taking a more direct route than the established path. Old paths exist for a reason. 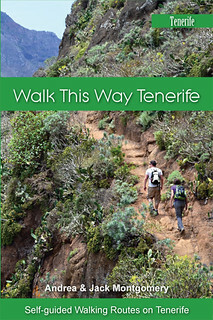 On Tenerife many were trails for moving livestock from mountains to coast and also as trading links between communities. They were created for a purpose by islanders who knew the landscape like the back of their sun-kissed hands. Those routes aren’t going to be bettered. Misleading walkers isn’t the only problem, there’s also an impact on the environment. Some conservationists believe the rock tower trend results in insects losing their homes and soil being more easily eroded in areas where there’s a profusion of rock towers, both factors which have a negative effect on indigenous plants. Basically, too much rock art upsets the balance of nature. 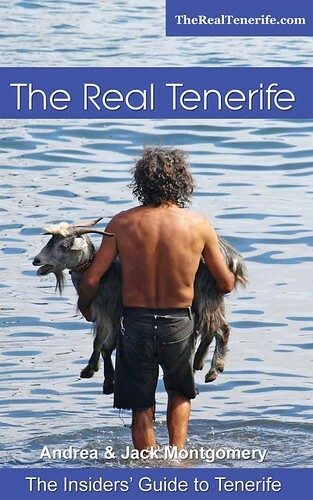 A report in the Spanish press recently highlighted concerns from a spokesperson for ATAN (Asociacíon Tinerfeña de Amigos de la Naturaleza) which reflect those of environmentalists elsewhere. 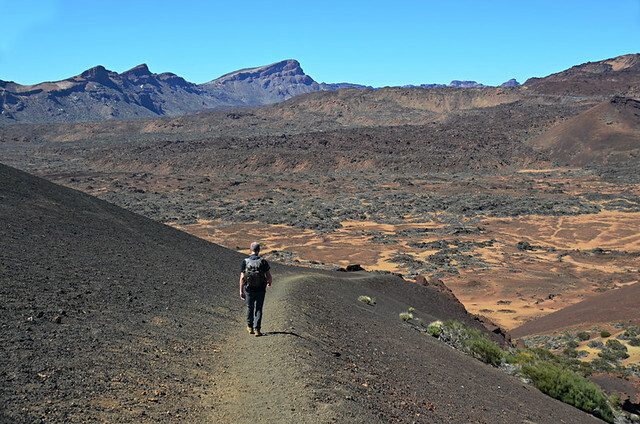 Of especial concern is the trend has spread to Teide National Park where it’s claimed some outdoor activity companies actually encourage customers to build rock towers. A similar thing has happened in National Parks in Hawaii and some believe it is akin to tampering with scientific evidence regarding volcanic activity. 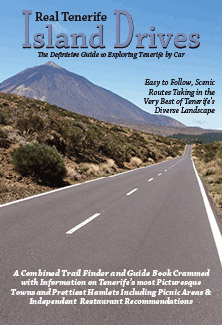 Teide National Park, the latest victim of the rock tower builders. But what about the beach what harm do rock towers cause there? The concern is it has a detrimental impact on the shoreline’s ecosystem and displaces the creatures which inhabit the water’s edge. 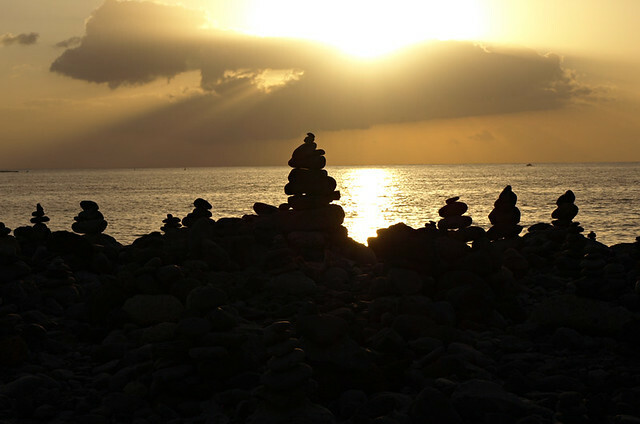 Admittedly some concerns come across as a bit hippy drippy, but researching the, excuse the term, more balanced concerns has made me view rock towers in a different light. There’s no doubting there is a place for rock art, human interaction with nature can be beautiful. But in my view cairn building is best left to those who know what they’re doing and rock art should be left to the artists.